In a small saucepan, sprinkle gelatin, over 1 cup cold grape juice; let stand for 1 minute. Heat over low heat, stirring until gelatin is completely dissolved. Stir in sugar. Remove from the heat; stir in remaining grape juice. Cool to room temperature. Transfer gelatin mixture to a large bowl. Slowly stir in champagne or soda. 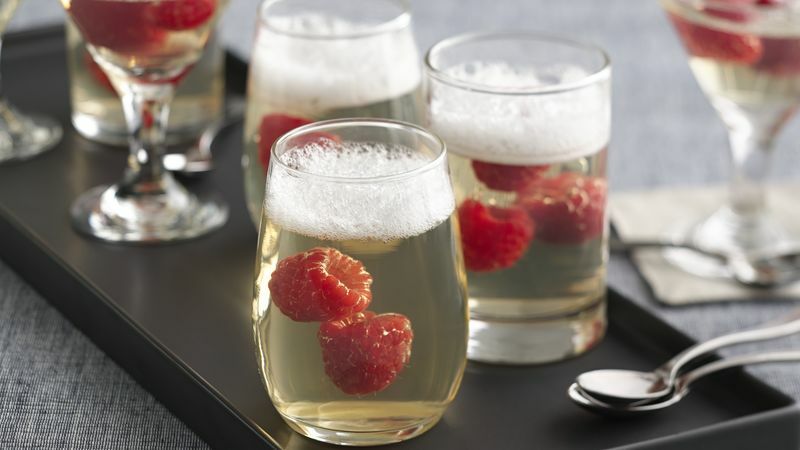 Pour mixture into eight champagne or parfait glasses. Add two berries to each glass. Chill glasses until almost set, about 1 hour.